Real Wedding, RLS and Southern Weddings Magazine! 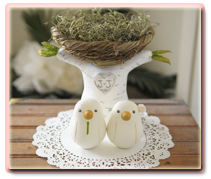 I was contacted by Kiley and Tim to make their wedding cake topper. I am so happy to share that their wedding was featured in Vlll of Southern Weddings Magazine. They were married on the gorgeous white sands of Carillon Beach on Florida's Gulf Coast. Every detail was perfectly planned by Carillon Weddings and beautifully captured by Paul Johnson Photography. You can find more details and photos here. 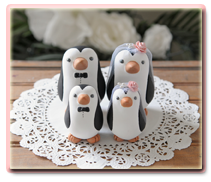 Earlier this year I was contacted by Erin and Morgan to create their cake topper. 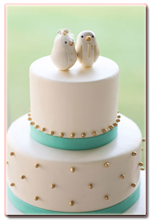 This August the 2 were married at the Shade Hotel in Manhattan Beach, CA. This clean and modern hotel was the perfect space for this beautiful wedding. JL Designs were their florist creating a super relaxed and chic feel and their photographers, Erin Hearts Court , captured it perfectly! This wedding is currently being featured on Style Me Pretty Real Weddings.